Voice-over-IP telephones (VoIP) are quickly becoming the most common way for organizations to manage voice communications. Adopting VoIP and SIP trunking allows organizations more options for communications than legacy PRI and Centrex services via major telecommunications providers. Organizations who are considering ways to save on their phone bill may consider SIP trunking as an option. With a cloud provider for SIP services, the initial investment is minimal. If you’re confused by SIP, it’s purpose, and what it replaces, you are in the right place. Continue reading to learn what a SIP trunk is, how it works, and how your business may benefit from adopting this communications technology. SIP Trunking uses Internet Protocol (IP) to enable organizations to place telephone calls through the Public Switched Telephone Network (PSTN). SIP trunking technology requires either an Internet connection, or a VoIP vendor, an IP-enabled PBX, and a border element or gateway to support IP-based voice communications. Using SIP, voice becomes an application on the IP Network... like email or web is an application. There’s no physical trunk associated with SIP, despite the fact it sounds like it may be a bulky, cumbersome technology. Instead, it’s a lightweight set of protocols that are delivered via a SIP provider enabling your organization to unlock the benefits of Internet-based phones. Organizations considering the switch to SIP are often familiar with its cost savings potential. If your firm places a lot of long distance or international calls, you may save a staggering amount compared to traditional phone service. While this attribute of SIP is attractive, the benefits are far more than just financial in nature. Let's look at the ten most-common benefits of SIP Trunking. With traditional phone service, your organization is subject to different, often mystifying charges for your local, long distance, and international calling. SIP trunking allows organizations instant access to simple, understandable pricing that’s generally billed on a per-user basis. Instead of monthly shock and confusion over your voice communications statement, organizations that switch to a SIP provider usually enjoy predictable monthly costs. One study revealed that the average company who made the switch to SIP saved 50% each month, though that figure is often much higher for organizations with a high volume of long distance and international calling. Switching to SIP is probably a lot easier--and cheaper--than you may think. More details can be found in Demystifying the Transition to SIP Trunking. With many technology investments, organizations may not appreciate returns on investment for years. In some cases, the tech investment is a gamble due to a lack of case studies providing ROI. Fortunately, SIP is a well-established technology with minimal upfront investment costs. Without a capital investment, organizations who switch to SIP begin appreciating cost savings from the first monthly billing statement. SIP supports your organization’s need for fast growth across multiple geographic locations. By combining your voice and data into a single network, your organization’s geographic locations and remote workers can be consolidated. The fast scalability of SIP also allows your organization to scale with extreme flexibility as you open new sites or establish full-time remote workers. SIP can act as a gateway towards Unified Communications as a Service (UCaaS). When selecting a SIP provider that offers a full suite of communication tools such as video conferencing and fiber-optic Internet connectivity, your organization can unlock the benefits of an IP-based communications suite that includes mobility, instant messaging, collaboration apps, and other flexible, cloud-based tools for business productivity. SIP allows your organizations to connect your employees' mobile devices via flexible, user-friendly VoIP apps that can be securely installed. This allows your mobile workers to remain connected to your on-premise based communication systems, and fully reachable at all times via a single, dedicated business phone line. The mobility attributes of SIP and VoIP also enable organizations to maintain communications if the Internet connection fails. Most companies still pay for telephone voice service and data separately, even when using a single provider. SIP trunking enables organizations to move their voice and data into a single network, treating voice calls as a form of data transmission. While this will increase the bandwidth demands on your data connection, it ultimately saves significant money and increases reliability, especially with fiber-optic Internet connectivity. With traditional phone service, expanding your organization’s infrastructure can be challenging. You may need to wait lengthy periods of time for the local telecommunications company to install new phone lines. Remote employees or individuals who work from home often need a company-provided mobile device, which is another investment on the part of your organization, just to communicate with colleagues. With SIP, your organization can add phone lines by simply connecting handsets to your data connection. Individuals who work off-site can be integrated into your company network, and be reached by a dedicated internal phone number and five-digit extension. SIP trunking does not require additional hardware investment. With many alternative methods of telephony, such as PRIs, your organization may need to invest in costly additions to hardware as you scale phone lines. With a SIP provider, adding phone lines or add-on services is as simple as purchasing an additional handset and scaling your monthly service agreement. While traditional telephone service can be interrupted due to weather events, shenanigans in the telephone room or a drunk driver hitting a telephone pole, SIP trunking is a reliable technology. With a vendor that offers mobile-failover as a form of redundancy, your phones can be used for communications even in case of some failure by allowing you to route your calls to other offices or employee mobile devices. Your IT team will never have to use their mobile device to wait on hold to speak to a customer service representative again. SIP trunking and VoIP phones offer easy-to-use administrative portals for on-site management, including actions like adjusting call routing, changing extensions, or adding phone lines fully on-demand. Is SIP Trunking the Right Choice for My Company? While SIP Trunking is a very well-established gateway to significant cost savings, reliability, and flexibility, no two organizations are the same. There are no technological silver bullets. While SIP trunking offers few disadvantages compared to alternatives, it requires sufficient data connectivity bandwidth to work effectively. Organizations who choose SIP trunking as part of an on-premise VoIP solution will need to plan for some up-front capital investment in equipment, and may have trouble finding skilled telecommunications professionals for implementation and ongoing maintenance. 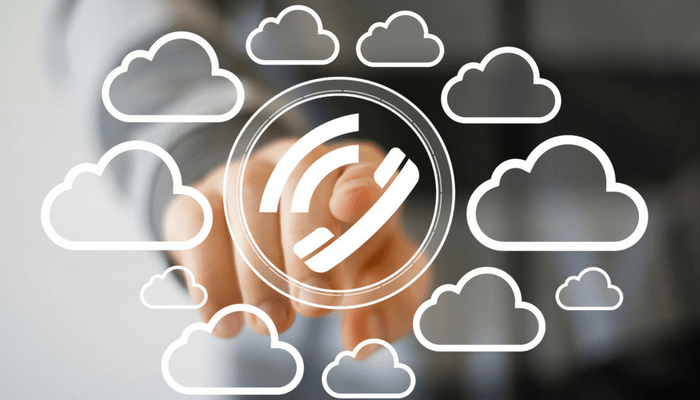 However, SIP is the right choice for many organizations who are ready to reap the benefits of Internet-based phones and establish a relationship with a hosted VoIP vendor and move their business communications to the cloud. If your organization has ever struggled with confusing monthly phone bills, unreliable phone lines, high calling costs, or balancing on-site phone lines with employee mobile devices, you may benefit significantly from making the switch to SIP. 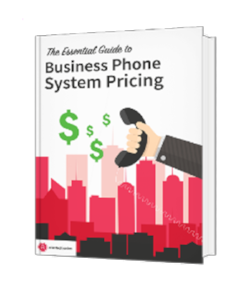 To learn more about how SIP can enhance your business communications and how much you stand to save with SIP trunking, we recommend The Business Phone Buyers Guide for more insight into selecting the right options, vendors, and handsets for your organization.